MetalRockNews: Corey Taylor about Stone Sour new album: "It's amazing"
Corey Taylor about Stone Sour new album: "It's amazing"
Slipknot and Stone Sour frontman Corey Taylor was recently interviewed by Loudwire, you can read some excerpts below. About the progress of the songwriting sessions for the next Stone Sour release, he said: "But the cool thing is we're getting together every couple of months and writing songs and stuff." Taylor said Stone Sour has demoed "about fifteen" new songs that he says are "really, really strong," with plans to complete ten more and then "see where we're at." 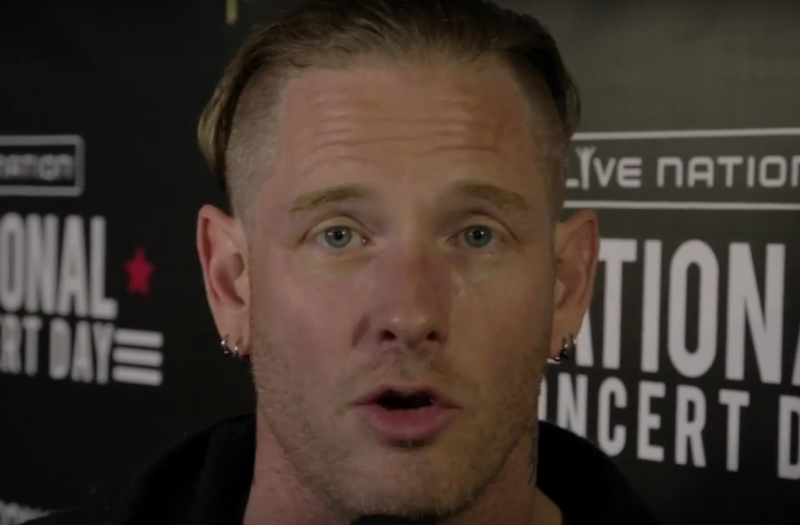 He praises the new material as "amazing," explaining: "The stuff we're writing right now, it's got elements of metal, it's got elements of hard rock, it's got elements of punk, it's got all these things that we all love and we all share, and we're just kind of shoving it through the Stone Sour funnel and seeing what happens, and it's all really, really, really good." He said that Stone Sour fans shouldn't expect the new album before the middle of 2017. Taylor said: "Timeline-wise, [we'll] hopefully get into the studio either [in] January or February of next year. Get that together in a couple of months and then try to get the album out by the summer."